The 3-Oh-Five mid-back executive chair features luxurious SofThread leather for an upscale look and feel, making it a smart and stylish solution for any application. 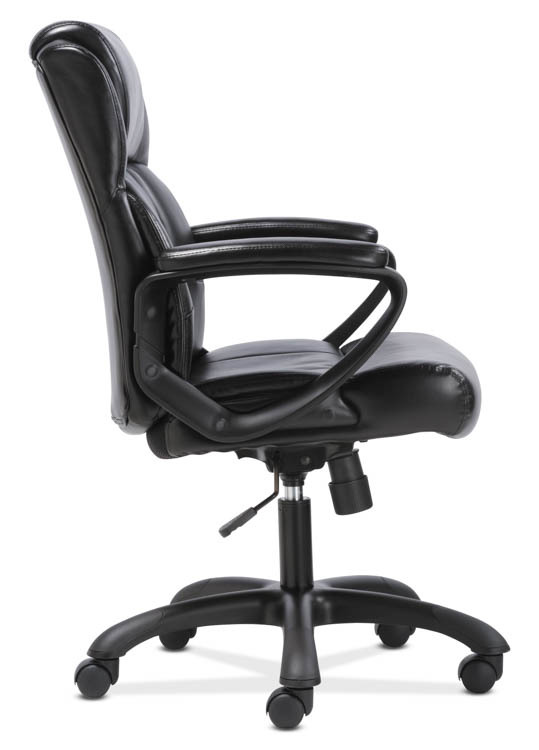 It offers simple and intuitive controls such as pneumatic seat height adjustment, 360-degree swivel, tilt tension and tilt lock for added customization and comfort. The contemporary tapered arms add to the modern appeal. Overall Dimensions: 26.50"W x 25.60"D x 43"H.